It is the opinion of many at the present day that the almost grotesque myths and fantastic geographical and astronomical descriptions contained in the religious writings of many ancient faiths, are not, as they have hitherto been too often considered, mere vagaries and extravagances of the youthful imagination of the early race; but are really deliberately contrived and constructed allegories, by which ancient sages sought to veil, and effectually succeeded in veiling, the sacred truths which could only be declared in the secret recesses of the temples. If this be so, then valuable truths and revelations of ancient history of great and absorbing interest may be laid bare, if we succeed in removing the veil from these venerable allegories. To understand them completely, demands doubtless a knowledge not at the command of ordinary students; but nevertheless, in studying these myths and making ourselves familiar with them, we find a link which binds us by sympathy to a remote past, and to a phase of the human mind which must have its representative in us, ready to vibrate responsive to these old-world stories. They bring us back to an epoch which knew not the iron which has since entered so deeply into our souls; when man perhaps saw deeper into the mystery of things, and the universe reflected itself more clearly in his yet undarkened soul. 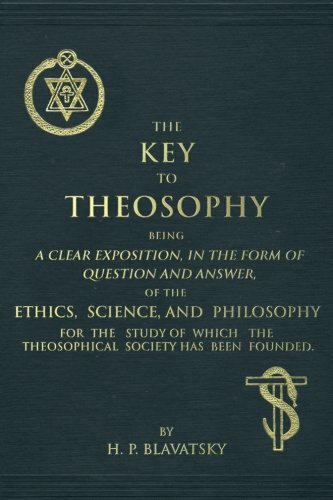 These old myths, if they contain transcendental truths known to us, and which we can recognize, will open up to us an almost limitless vista in the souls of the ancient sages who inwove their theories therein, and will give us one more proof of the brotherhood of man, wherever born, and in whatever age. With these reasons in view, we shall try to make our readers familiar by degrees with the great allegories of India, as they appear in the Brâhmanas, the Purânas, and the great epics, the Mahâbhârata and the Râmâyana. In a recent number, we told the tale of the Rajput supremacy, and of the mighty contest between the Brahman and the Kshattriya, and the rivalry of Vashishta and Visvamitra; and at present we shall try to give the history of the seven dwîpas, the great divisions of the world in the Purânic cosmogony. We shall first try merely to reflect faithfully into our pages the picture presented by the Purânas, and afterwards summarise any ideas as to the meaning of the Purânic stories which occur to us. But there is little doubt that the full import of these stories will not be brought to the light, until they have lain in the minds of mystics for years; until the time when the facts of nature to which they refer reflect themselves again in the minds of men. Priyavrata distributed the seven dwîpas, into which the earth had been divided (by Nârâyana in the form of Brahmâ) amongst his seven sons; who are the regents of the seven dwîpas. Before this, Priyavrata, being dissatisfied that only half the earth was illumined at once, by the sun, followed the sun seven times round the earth in his own flaming car of equal velocity, like another celestial orb, resolved to turn night into day; the ruts made by his chariot-wheels were the seven oceans: in this way the seven dwîpas, or continents were made. These seven continents are called Jambu dwîpa, Plaksha dwîpa, Shâlmali dwîpa, Kusha dwîpa, Krauncha dwîpa, Shâka dwîpa, and Pushkara dwîpa. These continents, which appear to have lain in concentric circles, with Jambu dwîpa in the centre, were separated by annular oceans, said to have been formed of salt water, sugar-cane juice, clarified butter, curds, milk, and fresh water, respectively. Jambu dwîpa lay in the centre of all these continents. It fell to the lot of Agnidhara, son of Priyavrata, who again divided it among his nine sons. In the centre of Jambu dwîpa is the golden mountain Meru, 84,000 yojanas high, and crowned by the great city of Brahma. Then follows a minute description of Jambu dwîpa. Before referring to it, however, let us try to make clear our conception of the Purânic idea so far. Let thirteen concentric circles be drawn: the inner is Jambu dwîpa; the annular space next to it is the salt ocean; the next annular space is Plaksha dwîpa; and so on. Outside, we have the sea of fresh water which encircles the whole system. Mount Meru is in the centre. South of Mount Meru are three mountain ranges; and north of it are three mountain ranges; dividing it into seven strips. These strips are the Varshas, or subdivisions, of Jambu dwîpa. The centre strip is divided further into three parts, a western, central, and eastern division; making in all nine Varshas. Meru is in the centre of this central division of the central strip. This central Varsha is called Hâvrita. It is divided from Harivarsha, to the south, by the Nishada range; and from Ramyaka to the north by the Nila range. To the west of Hâvrita, lies the Varsha of Ketumâla; while to the east lies Bhadrasva. Harivarsha is, we have seen, the Varsha directly to the south of Hâvrita. South of it lies Kimpurusha, separated from Harivarsha hy the Hemaketu range. South of Kimpurusha and separated from it by the Himâdri or Himâlaya range, lies Bhârata Varsha. These three, Harivarsha, Kimpurusha, and Bhâratavarsha, are all to the south of the three central Varshas. To the north of the three central Varshas lie three other Varshas; Ramyaka, Hiranmaya, and Uttara Kuru. Ramyaka is, as we have seen, separated from the zone containing the three central Varshas by the Nila range. North of Ramyaka, and separated from it by the Shveta range, lies Hiranmaya; while north of this Varsha, and separated from it by the Shringin range lies Uttara Kuru. This will make sufficiently clear the geography of Jambu dwîpa; each division of which was under the rule of one of the nine sons of Agnidhara, the son of Priyavrata. In these, Kimpurusha and the rest, it is said that the inhabitants enjoy a natural perfection attended with complete happiness gained without toil. There is there no change, nor age, nor death, nor fear; no distinction of virtue and vice, and no difference of best, medial, and worst; nor any change resulting from the four ages (yugas). Again it is said: In those eight Varshas, there is neither sorrow nor weariness nor anxiety, nor hunger nor fear. The people live in perfect health free from every suffering, for ten or twelve thousand years. Indra does not rain on these Varshas, for they have many springs. There is no division of the time into the Krita, Treta, and other Yugas. We shall try to point out further what seems to us to be the great value of these texts, when trying to unravel a little of the Purânic mystery. The country to the north of the ocean, and to the south of the Himâdri, the snowy mountains, is Bhârata Varsha, where the descendants of Bhârata dwell. As all our readers know, it was between two divisions of the descendants of Bhârata that the Mahâbhârata war was fought. In Bhârata Varsha, and no where else, do the four Yugas, Krita, Treta, Dvâpara, and Kali exist. Here devotees perform austerities, and priests sacrifice. In this respect Bhârata is the most excellent division of Jambu Dwîpa: for this is the land of works, while the others are places of enjoyment. In the Bhâgavat Purâna, it is said: Of the Varshas, Bharata alone is the land of works; the other eight Varshas are places where the celestials enjoy the remaining rewards of their works. This is almost all the information we can collect of the Purânic idea of the divisions of Jambu Dwîpa. We shall afterwards examine some of these texts, with their bearings; first glancing at the accounts of the other dwîpas. Plaksha dwîpa, the nearest to Jambu dwîpa, is divided into seven provinces. Existence there is always that of the Treta yuga, a perpetual silver age. In the five dwîpas, (all except Pushkara dwîpa and Jambu dwîpa), the people live 5,000 years without sickness. The four castes, with different names, exist on each of them. The four castes, purified from passion and darkness by the touch of the water of the rivers, live a thousand years, and resemble the gods. It may be noted of this text that the purification of these castes from passion and darkness leaves them only one of the “three qualities,” goodness, which is said to be the distinctive mark of the true Brâhman; so that the measure of spirituality on this dwîpa is much higher than in Jambu dwîpa. An ocean of sugar-cane juice separates Plaksha dwîpa from Shâlmala dwîpa: which is also divided into seven Varshas. It has four castes who worship Vishnu in the form of Vayu, (air). Here the vicinity of the gods is very delightful to the soul. This dwîpa is surrounded by an ocean of wine, whose exterior shore is compassed by Kusha dwîpa: here the inhabitants are men dwelling with Devas, Gandharvas, and other beings. In the Mahâbhârata, it is said: No one dies in Kusha dwîpa; the people are fair, and of very delicate forms. Kusha dwîpa is surrounded by a sea of clarified butter, of the same compass as itself: around this sea runs Kramcha dwîpa. Vishnu Purâna says: In all the pleasant divisions of this dwîpa, the people dwell free from fear, in the society of the gods. A sea of curds encompasses this dwîpa, which is of the same circumference as itself. This sea is surrounded by Shâka dwîpa, of which the Vishnu Purâna says: These are the holy countries whose holy rivers remove all sin and fear. There is among them no defect of virtue, nor any mutual rivalry, nor any transgression of rectitude in the seven Varshas. Here the people are holy, and no one dies, says the Mahâbhârata. Shâka dwîpa is surrounded by an ocean of milk, outside which lies Pushkara dwîpa; where men live ten thousand years, free from sorrow and pain. There is no distinction of highest and lowest, of truth and falsehood,—[because all alike are good and true], men are like gods; there are no rules of caste, and happiness dwells with all. Of the seven dwîpas, the Mahâbhârata says: Each doubly exceeds the former in abstinence, veracity, and self-restraint; in health and length of life. Prajâpati, the lord, governs these dwîpas. All these people eat prepared food, which comes to them of itself. To finish its account, the Vishnu Purâna says: Pushkara dwîpa is surrounded by an ocean of water which envelopes all the seven dwîpas. On the other side of the sea is a golden land of great extent but without Inhabitants; beyond that is the Lokâlaoka mountain, ten thousand yojanas in height and ten thousand yojanas in breadth. It is encompassed on all sides with darkness, which is enclosed within the shell of the mundane egg. Thus ends the account of the Seven Dwîpas, as told by the Indian Puranas. The objective point from which this cosmogomy starts is Bhârata Varsha, or India, bounded southward by the salt ocean, and reaching northward to the Himâdri, or Himâlaya. Perhaps the other Varshas, in one of their interpretations, are the lost continents of former races with Meru, the north pole, in their centre. But it seems to us from what is told of the other Varshas, and, above all, of Uttara Kuru, that these Varshas are not to be found on earth, but represent the various planes rising from the physical to the spiritual, from Bhârata Varsha, taken as the type of physical life, or waking consciousness, to the Uttara Kurus, the highest spiritual stage that dwellers on this earth can reach. We are led to believe that these Varshas which I have described and explained in my last paper are not located in the physical world from what is told of the perfection of their inhabitants; the length of life, which is measured by thousands of years, and, above all, by the specific statement that these Varshas are the abodes of those who are reaping the fruits of their merits, while Bhârata is the Varsha where this fruit was earned, the world of works, or physical life. We observe that these Varshas are nine: though when we mark their position in the circular island of Jambu dwîpa according to the directions of the Purânas, we find that while nine Varshas are mentioned they fall into only seven strips: and moreover, while a great symmetry reigns among the various dwîpas we find it absent in this particular, for five of the other dwîpas have only seven Varshas. Perhaps therefore the nine Varshas of Jambu dwîpa, or our earth, are only a veil, to conceal the seven, or the real mystic number of the planes. Jagrat. Jagrat, 1. waking life. Swapna. Jagrat, 4. waking clairvoyance. Sushupti, 6. Kâma loka consciousness. Susupti. Jagrat, 7. Devachan consciousness. Swapna, 8. Consciousness between planets. Sushupti, 9. Consciousness between rounds. Jagrat, swapna, and sushupti mean, respectively, waking, dreaming, and deep sleep. But this would hold equally true of the seventh plane of consciousness; if we take the nine to be a veil of seven. It seems, therefore, that the seven or nine divisions of Jambu dwîpa may mean our physical earth, or the physical life known to us, and its higher planes or principles; the mountain ranges being the points of separation between the planes. If this be so, and if we credit the authors of the Vishnu Purâna with adeptship, and transcendental knowledge, which they have imparted in it in a veiled form, it would seem that valuable knowledge of the superior planes might be gained by a careful analysis of what is said in the Vishnu Purâna of the other Varshas of Jambu dwîpa. If we are right in identifying Jambu dwîpa with our earth, we may conjecture that the salt ocean which surrounds it, besides meaning the sea, may also mean the aura of the earth ; that part of the astral light which. clings round our planet. If then we are right in considering Jambu dwîpa to be the earth, what view are we to take of the nature of the other six dwîpas? It is clear that they are connected with our earth, and with the evolution of life on it. It is also said that the dwîpas are in an ascending order of spirituality, Jambu dwîpa being the lowest, and Pushkara dwîpa the highest; while the other five dwîpas have many attributes in common, and are classed together. Moreover, each of these five dwîpas has seven Varshas: and if we are right in considering the Varshas of Jambu dwîpa as planes, or principles, may we not suppose that the Varshas of the five dwîpas are also planes or principles? Jambu dwîpa is said to be a circular island; but there is no doubt that the Hindus knew the earth to be a sphere. Therefore this may simply mean that if Jambu dwîpa is a sphere, in that case we are perhaps justified in believing that, when the other six dwîpas are represented as annular, they are really spheres, and that the statement that each lies outside the preceding, and separated from it by an ocean, really means that these dwîpas are spheres, isolated from each other, but surrounded by some more subtle medium which serves as a connection between them. Are we justified then in considering that the seven dwîpas mean a system of seven spheres united to each other by a subtle medium, and cooperating in the work of human evolution by furnishing man with a series of dwellings in an ascending scale of spirituality? It has doubtless already become apparent to our readers that this idea is, in almost every particular, identical with that of the Planetary Chain, as expounded in the Secret Doctrine. A careful review of all the statements we have collected as to the other dwîpas will give further indications of the identity of these two ideas, and will elicit many facts of great interest. What is meant by the oceans of sugar, wine, curds, and milk? Is this a hint of the nature of the auras of these different planets? Are the colours and properties of these liquids taken as symbolizing these auras? If so, then the ocean of pure water which surrounds the whole system may mean the ether which extends through all space, as distinguished from the aura which is differentiated and condensed around each planet. The outer darkness which shuts in the golden wall cannot but be the void space between our solar system and the stars, the mundane egg which encloses it being the limit of the life of the system to which we belong. For the mundane egg is not the boundary of the whole universe, nor does our system exhaust the infinitude of life.